“Neath the horse’s prick, a dynamite stick” | Come Here To Me! From The Irish Times, December 18 1961. A fine base for Lord Gough, but no sign of the man himself. We’ve looked at plaques in considerable detail on the site, and one thing I really want to get around to in time is the statues of Dublin. ‘All the fellas between Charles Stewart Parnell and Daniel O’Connell’, with the exception of William Smith O’Brien, have gone unexamined. How many Dubliners can name all the statues on O’Connell Street? We looked briefly too at the loyalist bombing of the Daniel O’Connell statue in 1969, and jaycarax had a fascinating photographic history of Henry Grattan’s statue, the Trinity graduate facing his Alma Mater at College Green. Of the statues no longer with us, Lord Gough’s has always been particularly interesting to me for a few reasons. Like Victoria, he is a Dublin statue which has ended up many miles from home, though not vanished quite as far as herself (she’s in Australia, for anyone who doesn’t know). 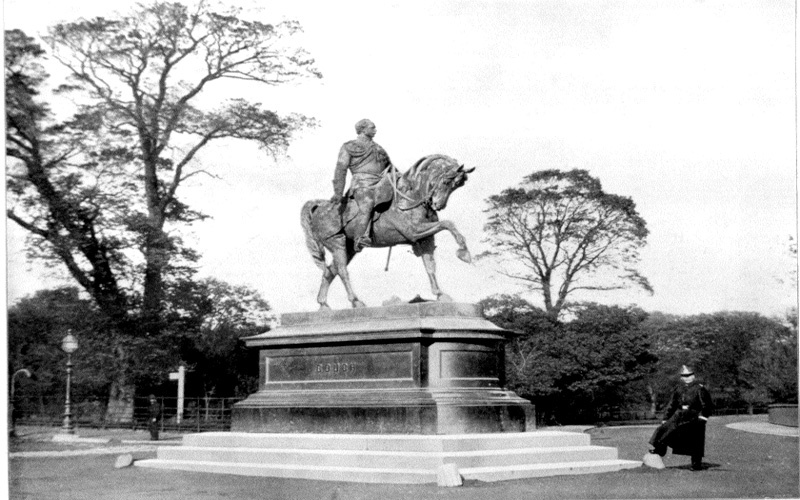 The statue was the site of Winston Churchill’s earliest childhood memory, and it is a statue that was in and out of the newspapers for a long time prior to its ultimate removal from the Phoenix Park. It also inspired my favourite Dublin poem, which for a long time was falsely attributed to Brendan Behan, for example even in Ulick O’Connor’s biography of the man, but was in fact the work of quintessential Dub Vincent Caprani. The statue is the work of the great John Henry Foley, responsible also for Daniel O’Connell’s statue at the top of O’Connell Street and the Trinity duo of Burke and Goldsmith among others. Winston Churchill recalled in his autobiographical work My Early Life 1874-1904, that his earliest memories from childhood were set here in Dublin. Asking “when does one first begin to remember?” he went on the write about the unveiling of John Henry Foley’s equestrian statue to imperial war hero Lord Gough at the Phoenix Park in Dublin in 1878. Churchill spent some of his earliest years in Dublin where his Grandfather had been appointed Viceroy and employed Churchill’s father as his private secretary. Churchill’s earliest memory was of his grandfather unveiling the doomed statue. A great black crowd, scarlet soldiers on horse-back, strings pulling away a brown shiny sheet, the Old Duke, the formidable grandpa, talking loudly to the crowd. I recall even a phrase he used: ‘And with a withering volley he shattered the enemy’s line.’ I quite understood that he was speaking about war and fighting and that a volley meant what the black-coated soldiers (riflemen) used to do with loud bangs so often in the Phoenix Park where I was taken for morning walks. 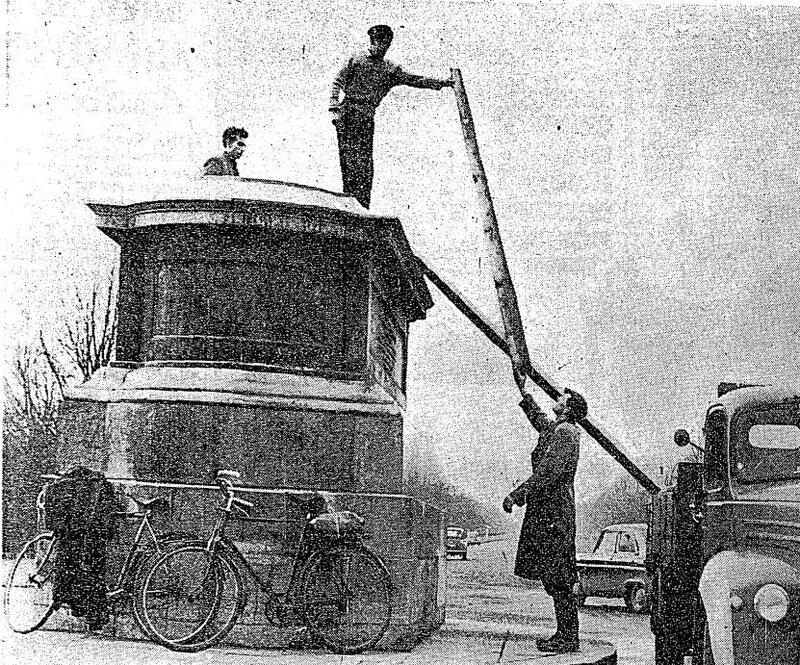 While the manner in which Gough’s time in the park came to an abrupt end is a well-known Dublin story, it’s often forgotten there had been other attempts on the statue prior. Ulick O’Connor noted in the prior mentioned Behan biography that there had been an incredible five attempts on the statue before that attack. Few people will sympathise with this activity; some think it is simply wrong, others do not understand how anybody could think of getting up in the middle of a frosty night in order to saw the head of a metal statue. The Gough statue in question was a monstrosity, famous only for the disproportion of the horse’s legs, its present headlessness gives it a grim humour and even if the head is recovered, I urge strongly that no attempt should be made to solder it on. After some time, Lord Gough’s head would be found. Where? In the River Liffey, at Islandbridge. The poem was the work of Vincent Caprani.A Dub of Italian descent, his books of poetry are essential reading for those who love the city. Dublin lacked any equestrian statues for many years, as a result of the republican bombing campaign against ‘imperial’ statues in the city. The Break For The Border nightclub of course have changed that, with the arrival of their Indian on horseback, but more interesting is Misneach in Ballymun, John Byrne’s beautiful statue which places a modern young female Dubliner on top of a more traditional and almost majestic horse. Incredibly, the mould for the horse was made from the Gough memorial at Chillingham Castle in the United Kingdom. There’s a little bit of the Gough statue in Ballymun today then. My oul fella used to say that the statue of Lord Gough was famous because the sculptor realised when he finished it that he’d left out the horses tongue and committed suicide. This seems to be a bit of Dublin folklore because I’ve heard it repeated many times over the years. Will be checking out Caprani’s work asap. Where was the George II statue btw? What happened the IRA line in response to blowing up statues: “we’re republicans not vandals”!! 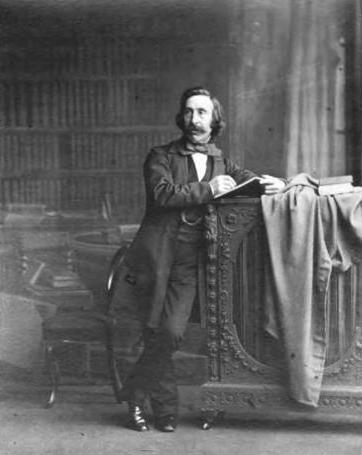 Stephens Green was home to George. As for Caprani, as a guide to Dublin you’ll find countless gems in his poetry. I had him up here from a good while back but am very glad of all your research and presentation and will follow up on Caprani. I’ll cross reference to here when I get time to revisit my page. The odd url below is because that page and two others are password protected for various reasons. By the way, email notifications of the post went out with your original title and throw up a 404, but there is probably not much you can do about that unless you want to spend time engineering the 404 page and it’s probably not worth it. There is a great song about the beheading of the statue known as ‘Gough’s immortal statue’. Caprani’s stuff is amazing too – ‘Goldilocks and the three teddy-boys’ anyone? Loyalists also blew the Tone monument at Stephens Green and, as far as I know, it was only the head that survived so that it was re-used when the statue was re-cast.